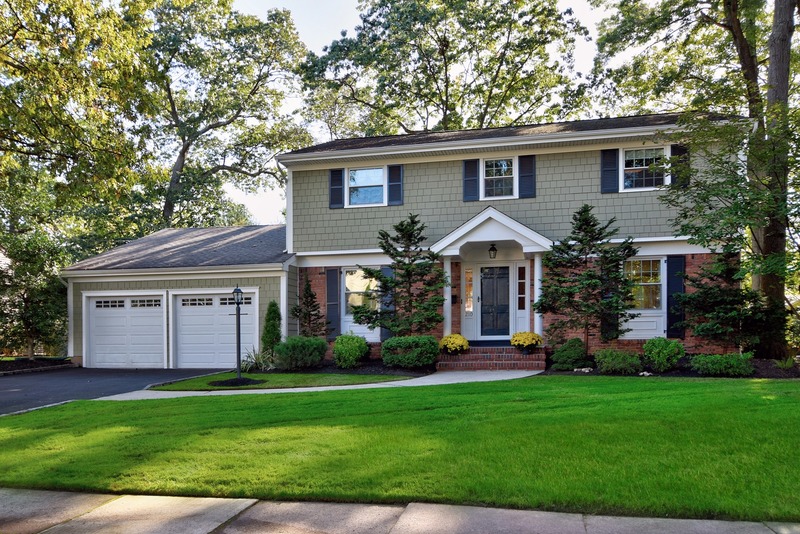 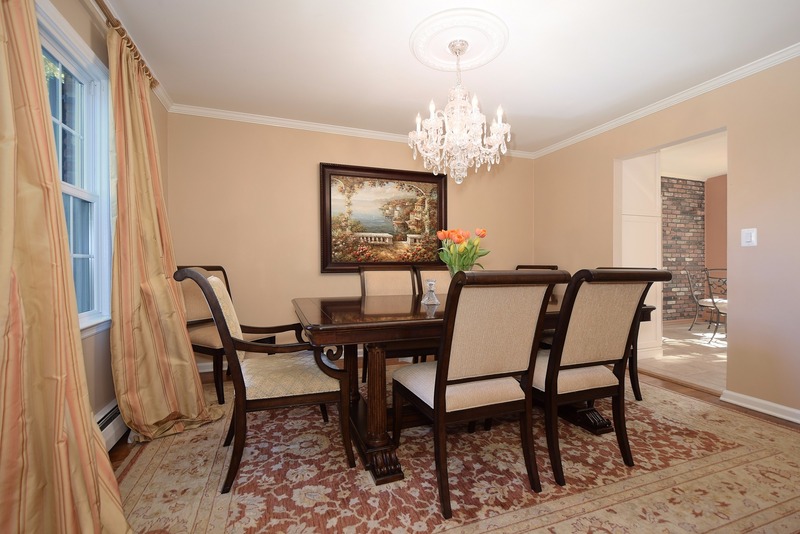 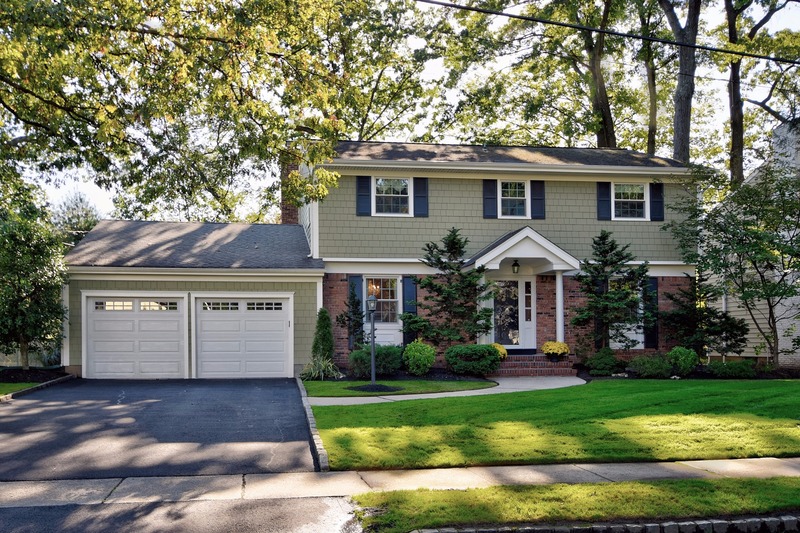 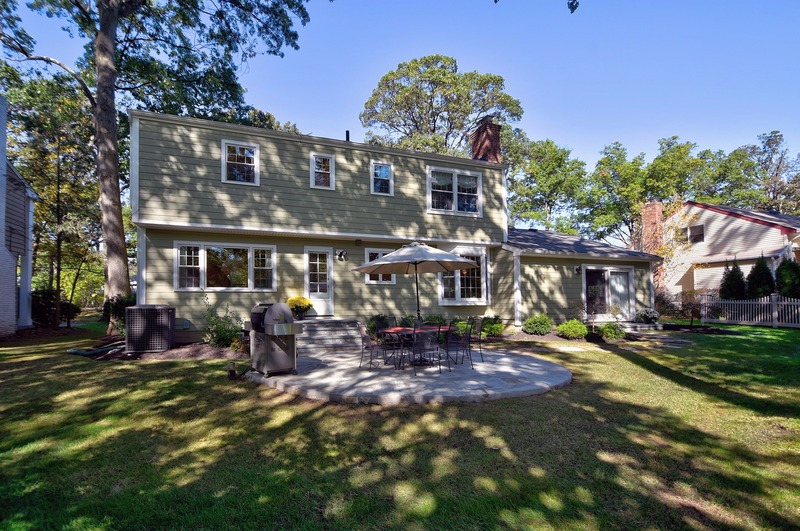 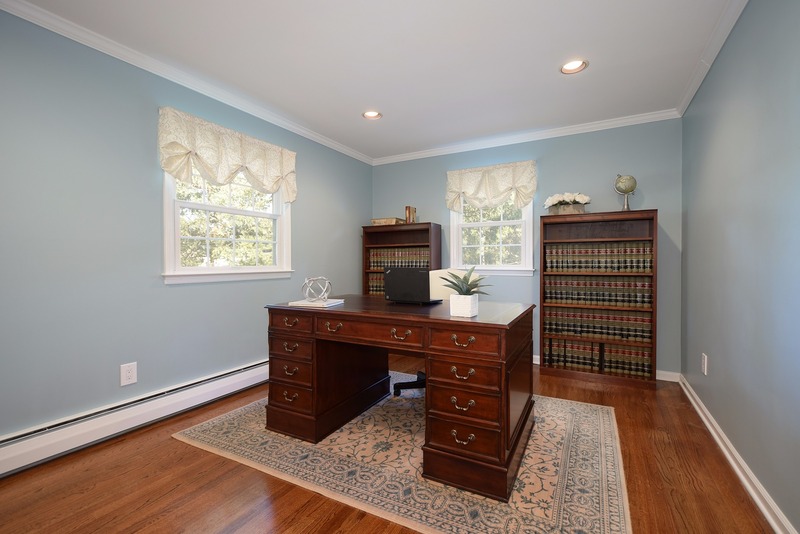 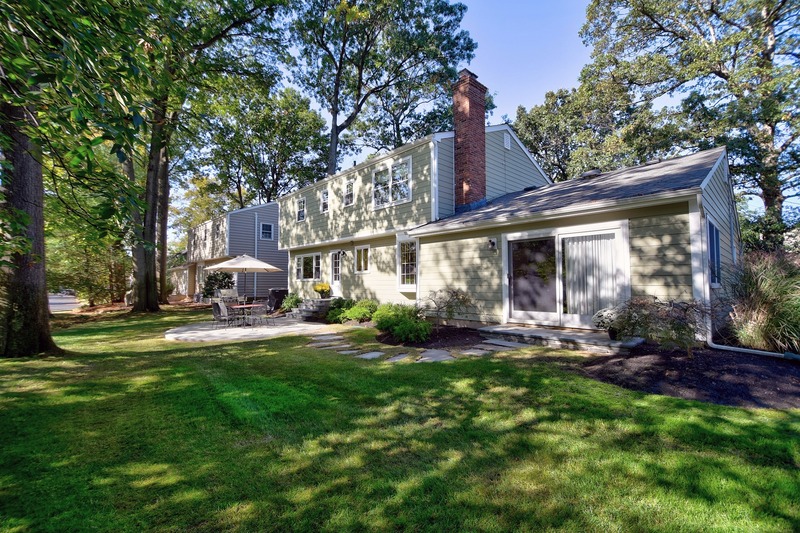 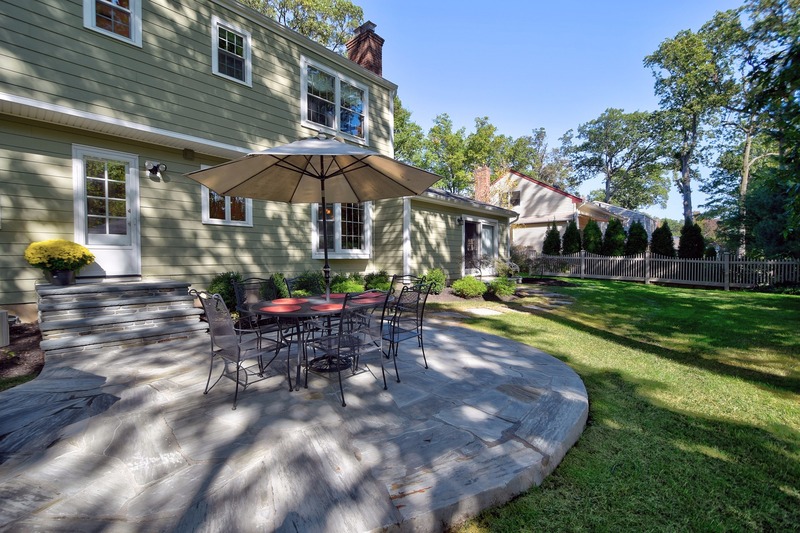 This elegantly appointed center hall colonial offers great flow with classic charm & many updates. 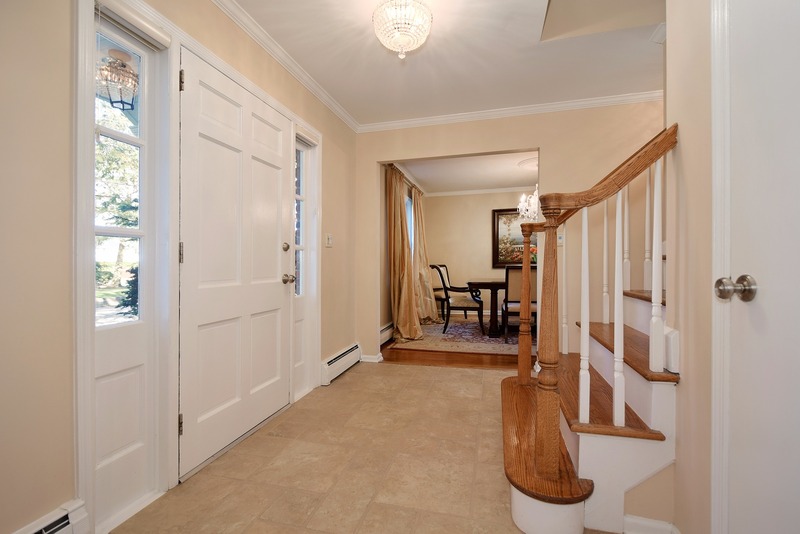 The welcoming foyer is flanked by the formal dining room and living room, which each showcase traditional crown molding and gleaming hardwood floors. 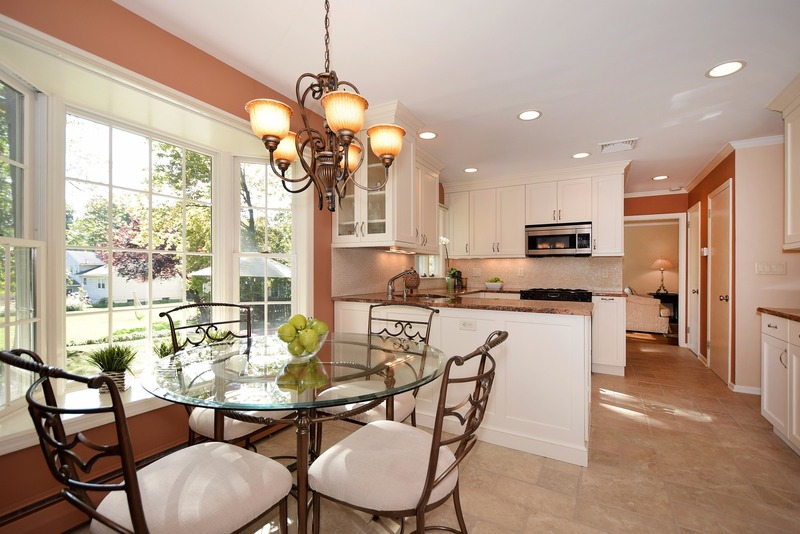 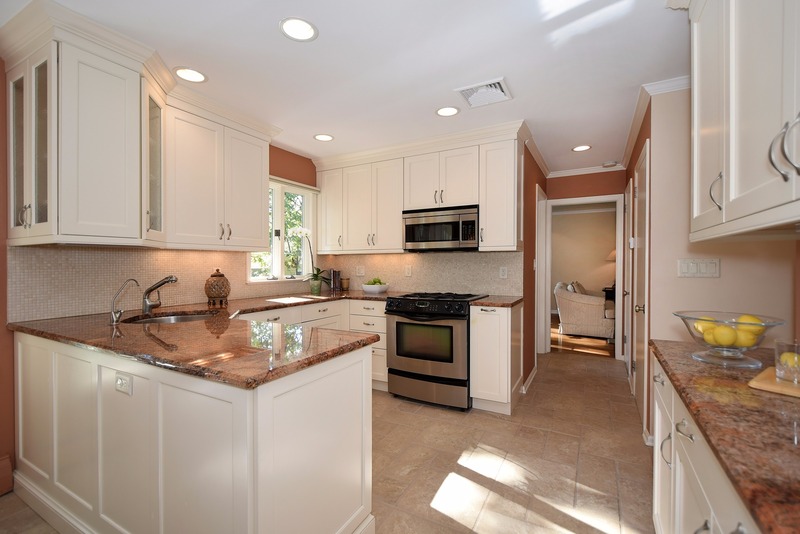 The gourmet eat-in kitchen features custom Wood made and Brookhaven cabinetry, granite countertops, marble mosaic backsplash, stainless steel appliances and a sunny breakfast area with large bay window. 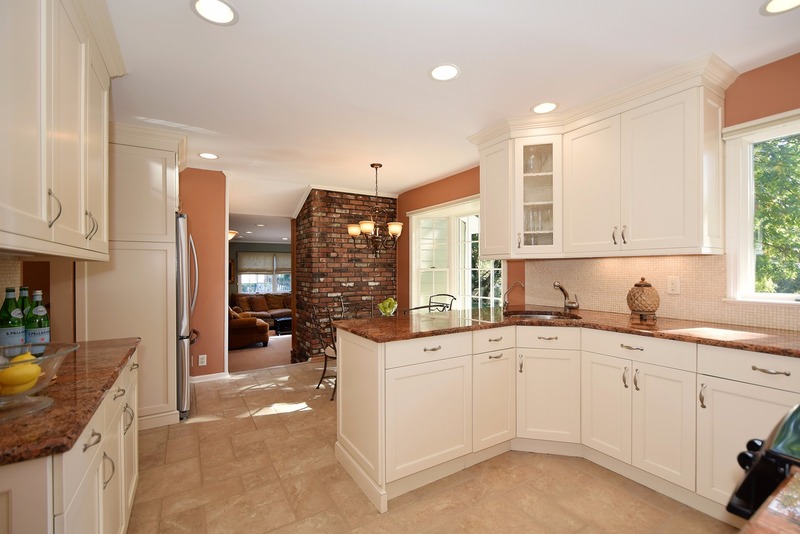 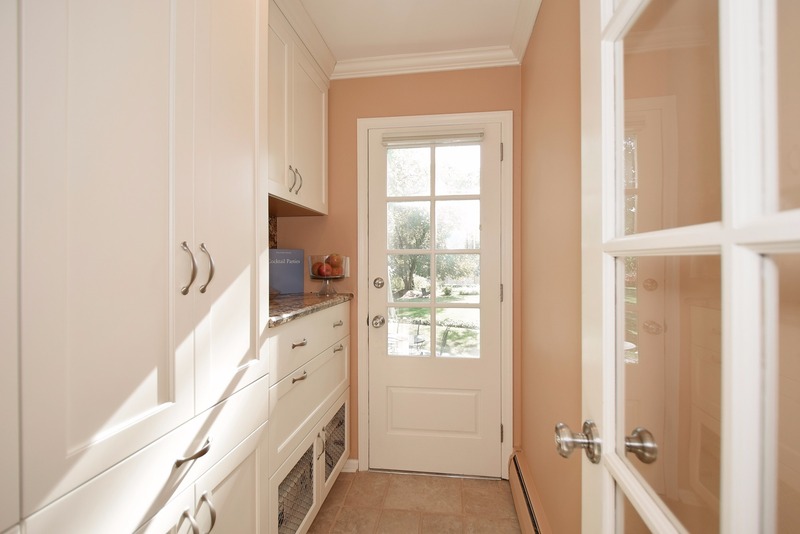 The first floor also boasts a walk-in pantry with customized storage cabinetry and granite countertop. 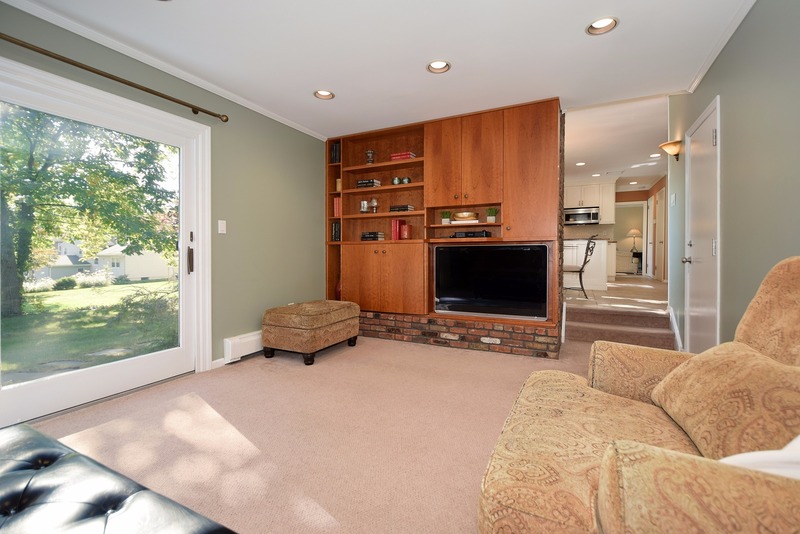 Just off the kitchen is the family room with built-in cherry cabinetry and large sliding doors opening to the beautifully landscaped backyard. 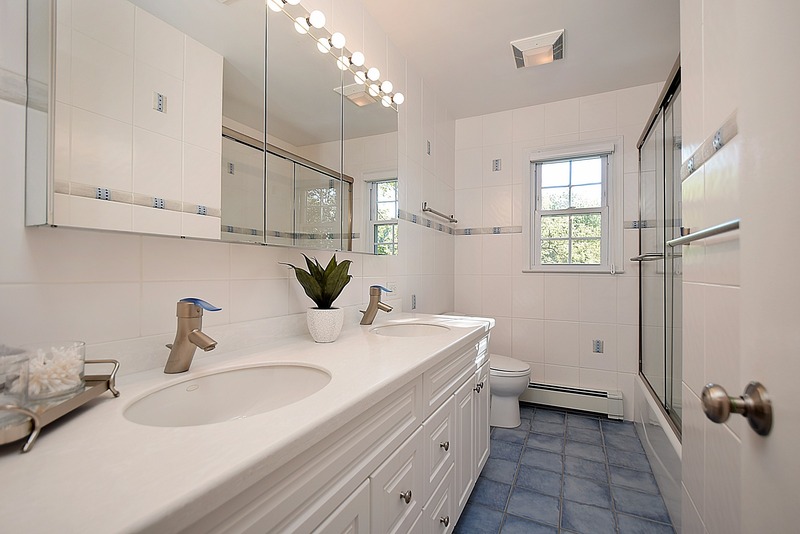 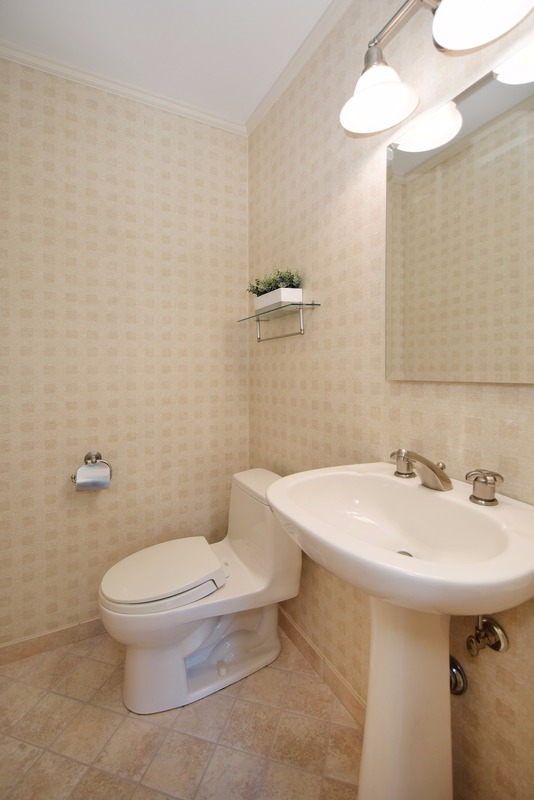 An updated powder room completes the first floor. 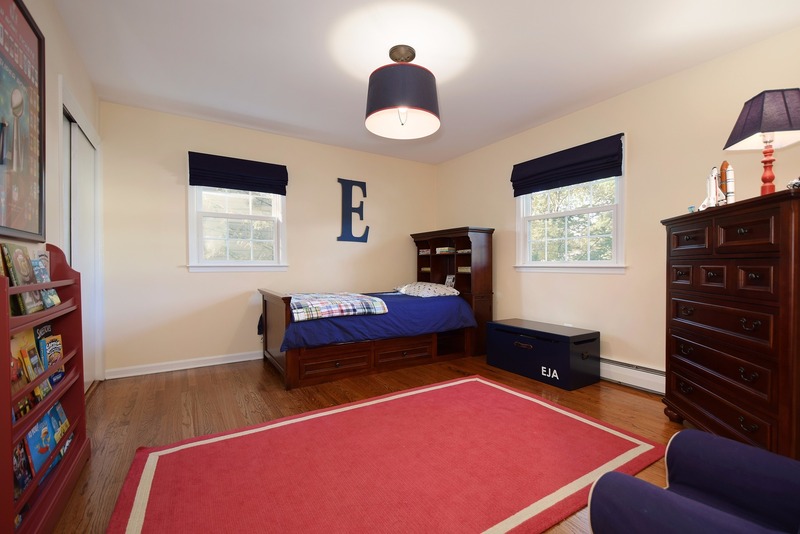 Upstairs the master bedroom features three custom-fitted double closets and an ensuite bath newly remodeled with marble flooring. 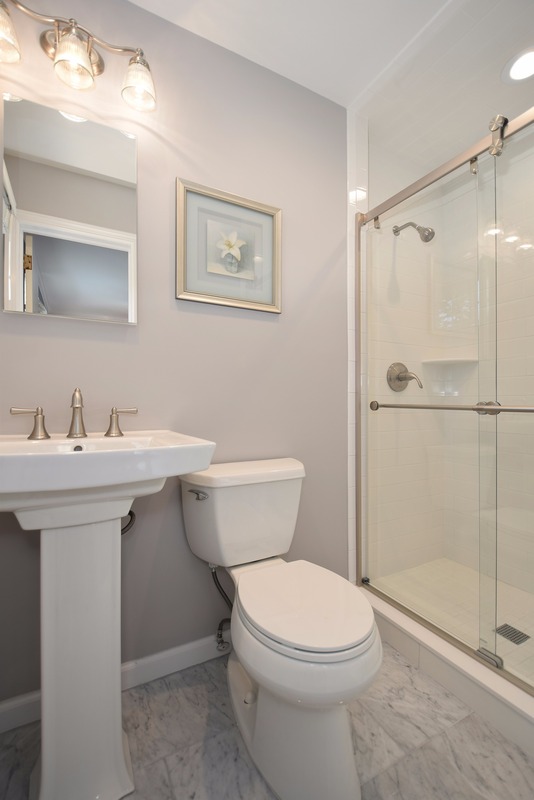 Upstairs you’ll also find three additional spacious bedrooms each with large custom closets, and a main bath featuring double sinks and custom tile work. 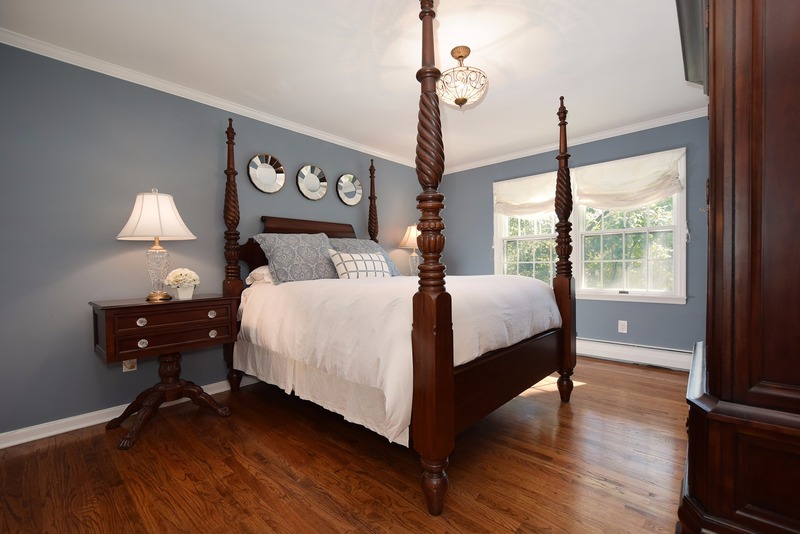 Gorgeous hardwood floors flow through all bedrooms. 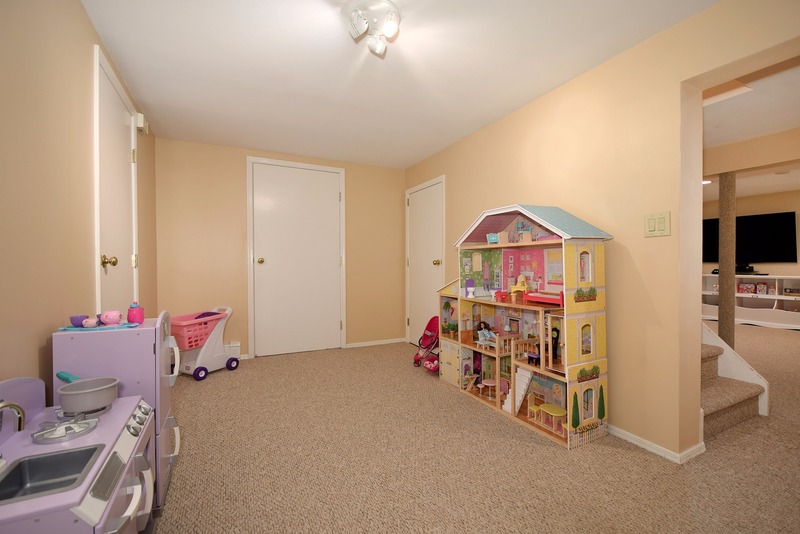 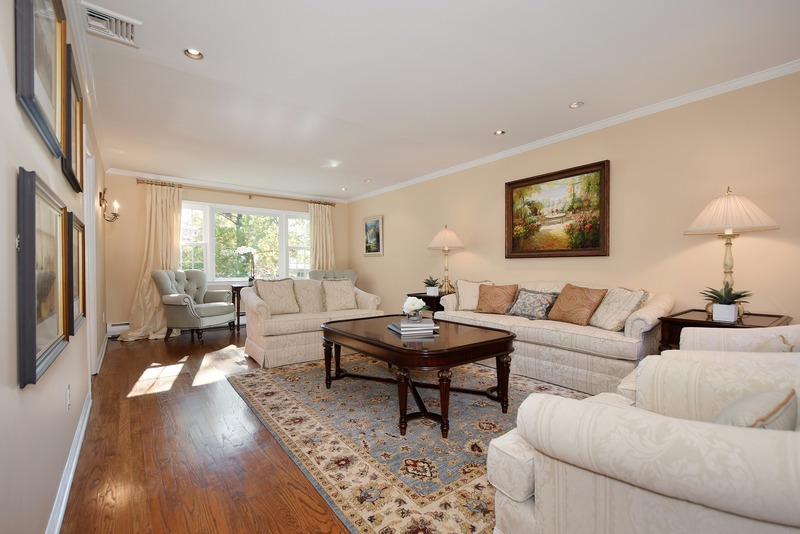 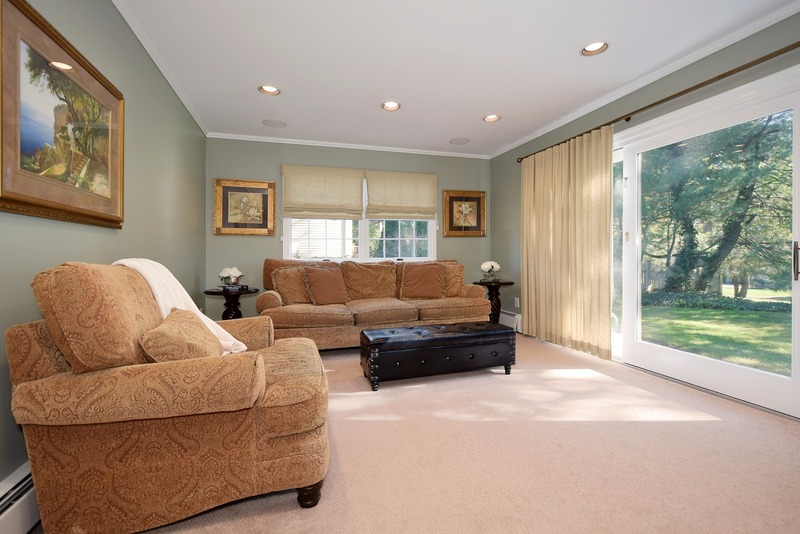 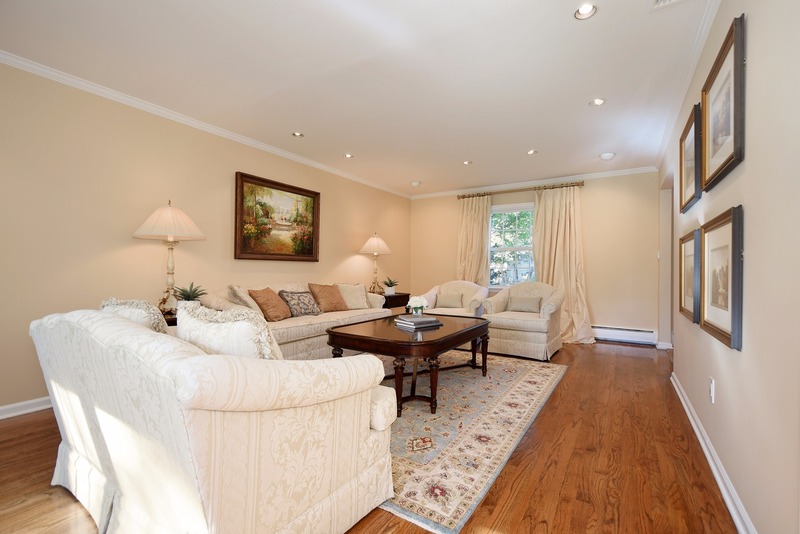 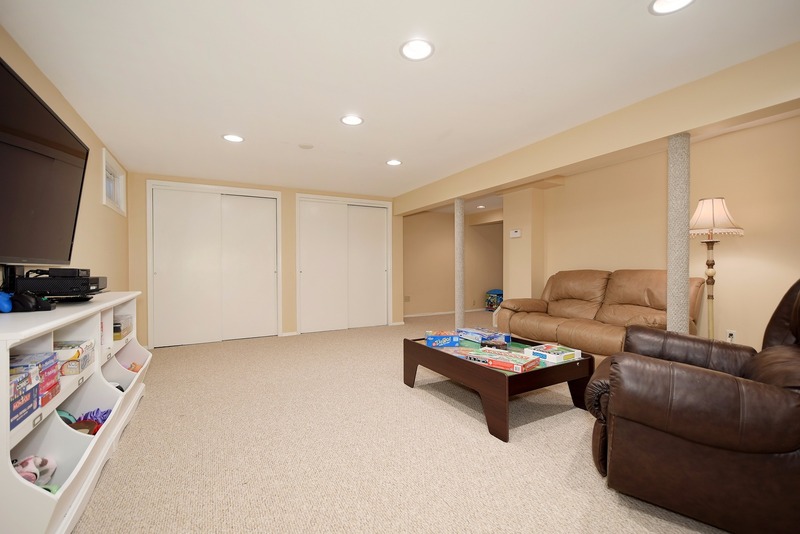 A beautifully finished basement boasts a large recreation room, playroom, laundry room and ample storage space. 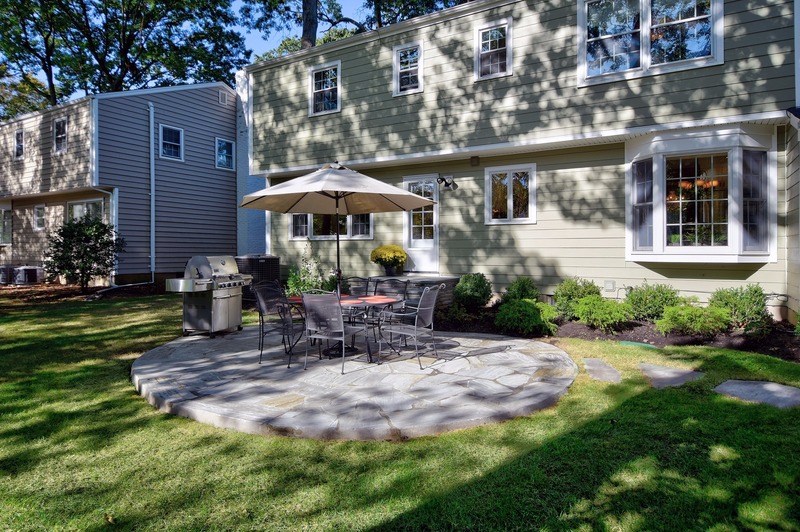 Additional amenities include recessed lighting throughout, Marvin windows, a full property sprinkler system, blue stone patio, new driveway, Hardie Plank fiber cement siding and a two-car attached garage with updated doors. 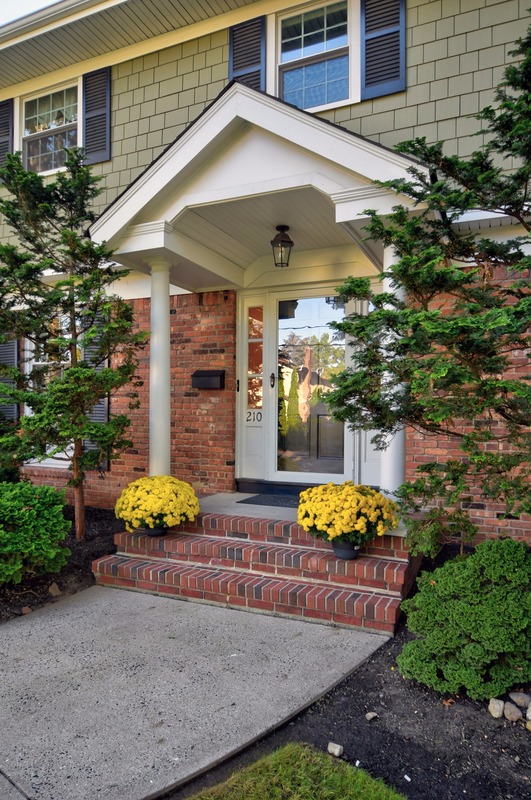 A portico shelters the entry and heightens the curb appeal. 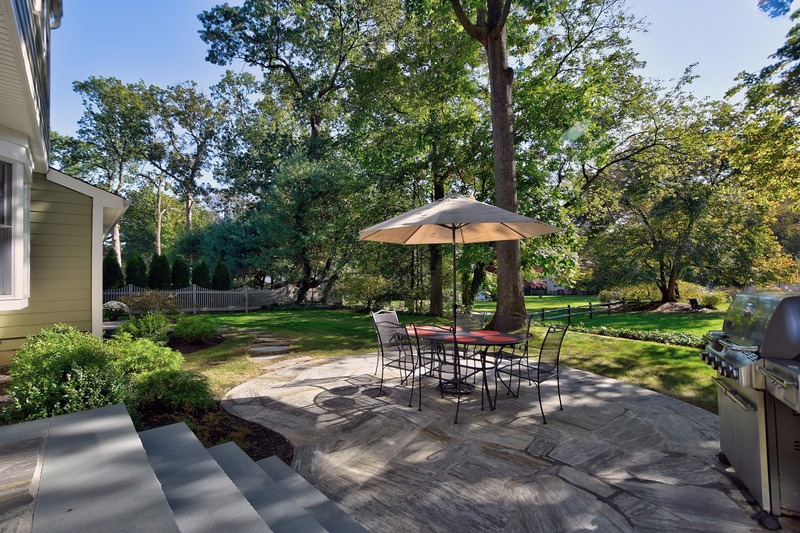 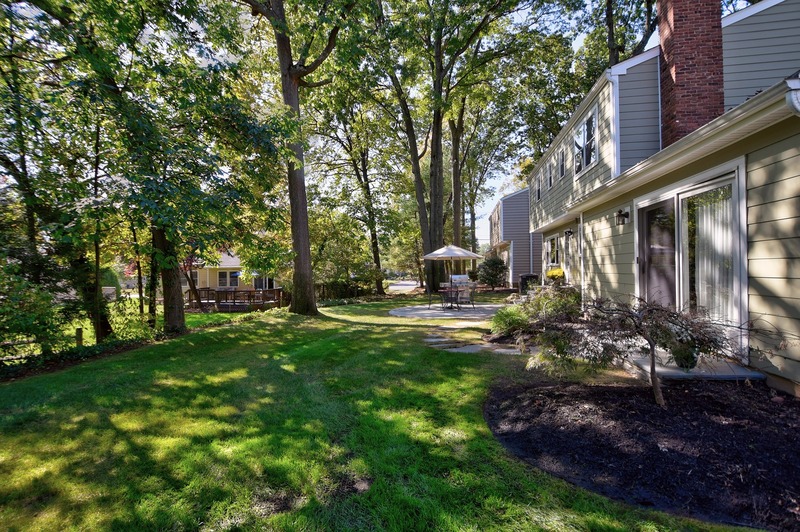 Completing this perfect picture is a location on a private tree-lined street that ends at Unami Park and is convenient to town, schools, and NYC transportation.